Canada Goose was founded in a small warehouse in Toronto and has grown into one of the world's leading makers of luxury apparel. In the 1950's Sam Tick immigrated to Canada bringing with him a strong entrepreneurial spirit. In 1957, he founded Metro Sportswear Ltd., which specialized in woolen vests, raincoats, and snowmobile suits. Sam Tick's son-in-law David Reiss joined the company in the 1970's and launched a new era for Metro Sportswear with the invention of a volume-based down filling machine. David also establishes the label Snow Goose, which later becomes Canada Goose. In the 1980's inspired by one of the coldest places on earth, the Expedition Parka is developed to meet the unique need of scientists at Antartica's McMurdo Station. It becomes standard issue and gains the nickname "Big Red." In 1982, Laurie Skreslet makes history as the first Canadian to summit Mt. Everest, wearing a custom parka designed and manufactured by Metro Sportswear. In 2011, this iconic “Big Mountain” jacket is re-released as the Skreslet Parka. Embracing Arctic adventure, Canada Goose partners with musher Lance Mackey. He wins the Iditarod and the Yukon Quest dog sled races four times each, making monumental world records along the way. Canada Goose, which has long been the (un)official jacket of film crews everywhere it’s cold, makes its on-screen debut in in 2004 with two key films: The Day After Tomorrow and National Treasure. With two-thirds of the world’s polar bears living in Canada, Canada Goose in 2007 joins forces with Polar Bears International (PBI) and launches the PBI Collection. Funds from every sale go to PBI to support the conservation of polar bear habitats. Also in 2007, celebrating the company’s 50th Anniversary, Canada Goose publishes the first Goose People book – highlighting 50 people from around the globe who embody the company’s values and lifestyle and inspire others through epic adventures. In 2009, two inaugural Canada Goose Resource Centres are established in the Canadian Arctic. The centres provide free fabrics, buttons, zippers and other materials for Inuit sewers who hand-make jackets and clothing for their families and community. In 2010, Canada Goose acquires a Winnipeg-based manufacturing facility to meet increased product demand and further solidifies its Made in Canada commitment. 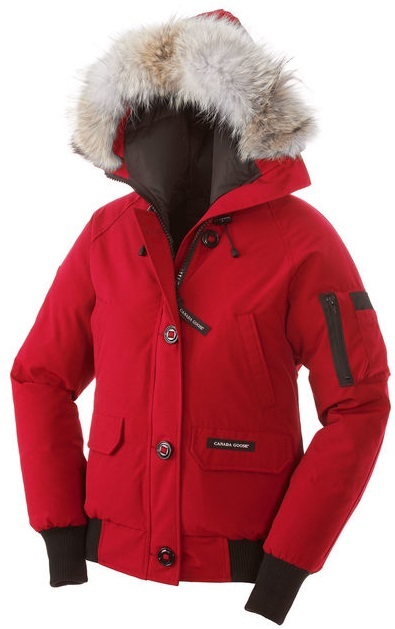 In 2011, Canada Goose continues to innovate by launching lighter-weight products suitable for diverse climates and high-intensity activities, including the HyBridge® Lite jacket, which wins the “Best Backcountry Jacket” in the prestigious Gear of the Year awards from Outside Magazine. In 2014, Canada Goose officially opens its Global Headquarters in Toronto, significantly increasing manufacturing capacity. The company is recognized by the federal government for employing 6% of the cut & sew labour industry in Canada.